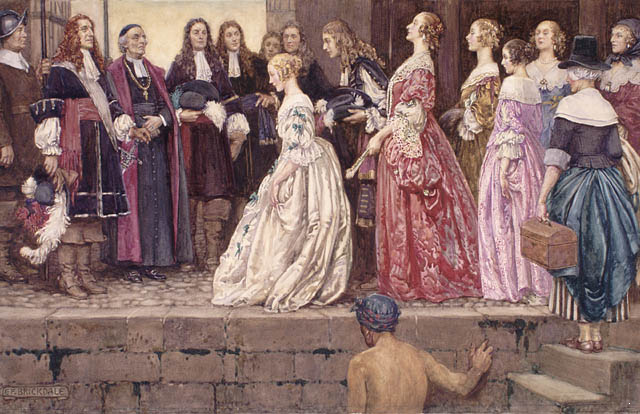 “Arrival of the Brides,” a painting of the Filles du Roi by English artist Eleanor Fortescue-Brickdale. In French, trois (“three”) and roi (“king”) rhyme–no big deal. Just a quirky line in a song, right? I missed this one, good post!